Christmas is just around the corner and it is once again a time of year for family and home. 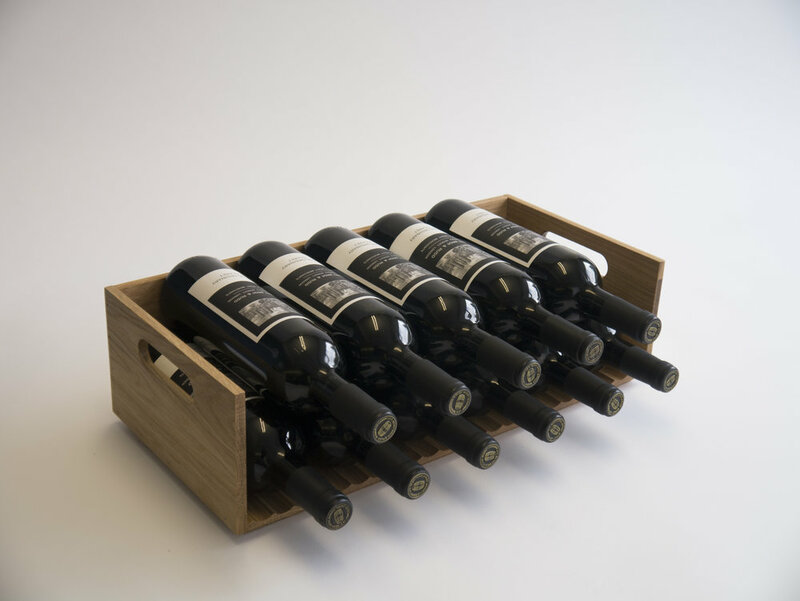 Our limited edition Ampella wine rack is the perfect gift for the wine lover who thought they had everything, whether they have a large, well established cellar or are just starting out. 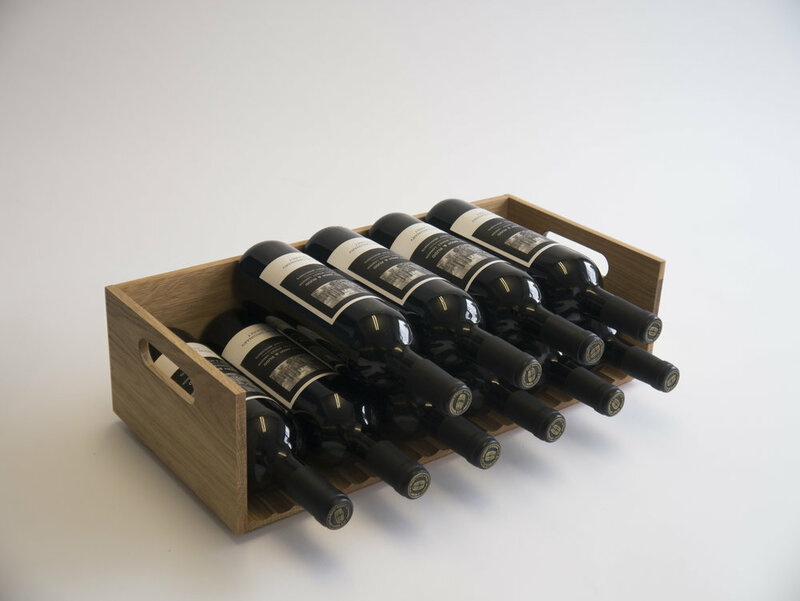 The range was inspired by the cellarmen of Berry Bros. & Rudd, who for the last 300 years have been carefully balancing a network of small wooden wedges to efficiently stack a huge variety of wine bottles together. 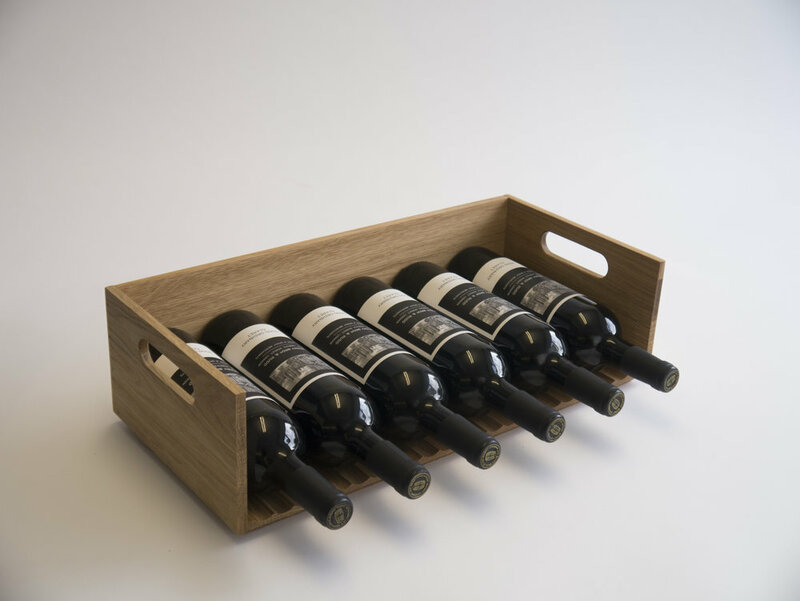 Ampella has been designed with this tradition in mind to neatly house all bottle sizes from half bottles to magnums without the need for many differently sized racks. 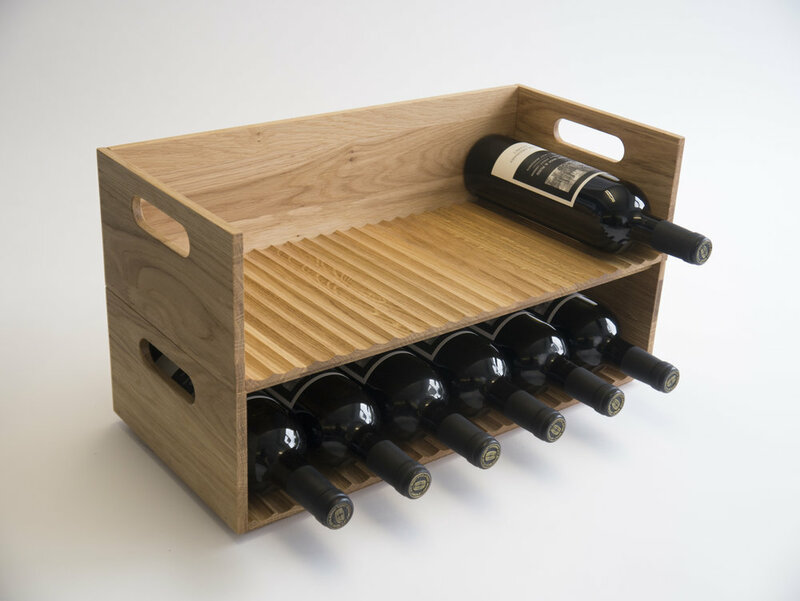 Safely stackable up to 10 high, these racks are the perfect solution for a modern-day, versatile cellar or kitchen. 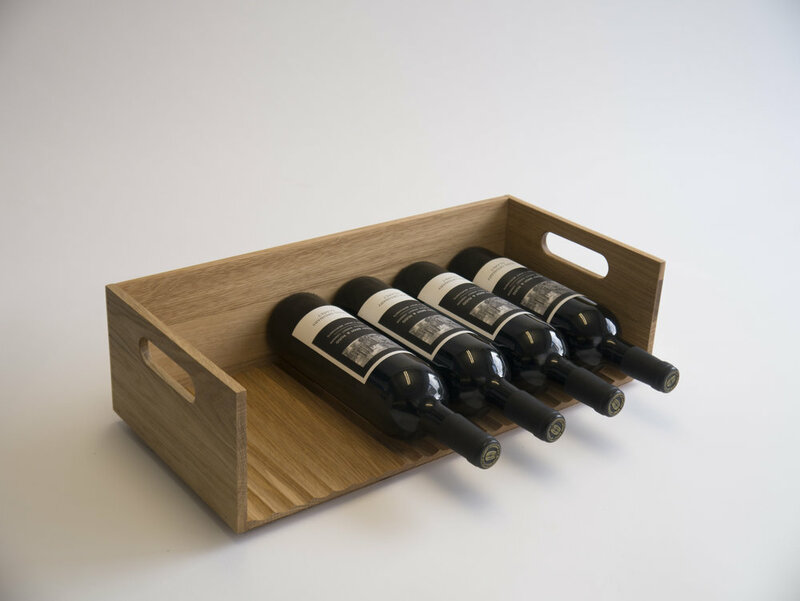 They are crafted by our team of expert joiners in Bristol from natural oak and are finished with Tung oil. Next month will see the centenary of the Armistice at the end of WWI. We have designed a major exhibition at the Imperial War Museum London to coincide with the centenary of the declaration of peace. “Renewal: Life After the First World War in Photographs” is an exhibition at the Imperial War Museum, London designed to coincide with the centenary of the declaration of peace at 11 am on 11th November 1918. The exhibition is the largest part of the “Making a New world” 3rd floor takeover of innovative exhibitions, installations and immersive experiences which explore how the First World War has shaped the society we live in today. Mowat & Company designed the exhibition of photographs in three “rooms” to reflect the topics of Reconstructing the Individual; Rebuilding Society and Reshaping the World. Each “room” within the large 300sqm gallery is designed with a different height to reflect the narrative as it moves from individual stories to global messages. Walls are engineered and fabric clad in order to reflect the lightweight, modular construction techniques used to renew buildings, cities and society after the war. The 130 photographs are enlarged and reproduced on pristine edgeless perspex sheets in order to reflect the inventive technology used in the complex process of reconstructing a home, a town or a continent. Our exhibitions are enjoyed by visitors to some of the world’s most respected organisations. Museums ranging from The National Gallery, the V&A and the Museum of London. We also partner with some people you may not have heard of, but who are the very best at what they do. For Renewal we partnered with exhibition installation specialists Qwerk to complete the build in time for the centenary. The photography of the completed photography exhibition was a continuing part of our collaboration with Gareth Gardner. Oak: Building, Growing and Manufacturing is being shown at the Adrem Gallery this September as part of London Design Festival. Audiences will be able to see how oak has been an ever-present source of inspiration for us. In our work we often come back to one material: Oak. This timber endures because of its physical density, durability and colour but also because of its associations in our minds and culture. We have designed the exhibition ourselves to best showcase our architectural design work and the products manufactured from our designs. We want to share our experiences and give an insight to the design possibilities of this magnificent species. A series of events (details below) will run in line with the exhibition which, as its name suggests, has been split into three sections: Building, Growing and Manufacturing. Building will exhibit our architectural design work with oak and display various finishes and application of the material, providing insight into the versatility of oak. This section will also provide visitors with an understanding of how oak can be integrated into the built environment by design, a material that wears in and does not wear out. Growing will highlight the different species of oak that we use and how we ensure that is used sustainably. Our founding director, Alex Mowat annually plants acorns in the southwest of England and is hugely knowledgeable about the species and planting. We want to let Londoners know how they can do the same by displaying a map of green spaces in London where the best acorns for planting can be found. Manufacturing will showcase the award-winning products we have designed and manufactured, including door handles, handrails, and bespoke wine racks, some of which have been specified by Stirling prize-winning dRMM, Jasper Morrison and Herzog and De Meuron. Working with London's great cultural institutions for their visitors is a great privilege. We are delighted to spring into February with three of these: Tate Modern, Museum of London and Imperial War Museum. We are extremely proud that our Holt door handles, part of the Holt range designed by Mowat & Company, have been specified by Jasper Morrison and Herzog De Meuron for the doors of the Tate Edit shop at Tate Modern. These beautiful wooden handles are specifically designed to be warm to the touch and the ergonomic shape provides the optimum grip for comfortable use by everyone, including the elderly, visually impaired and arthritic. We are delighted to be working with the Museum of London Docklands on their forthcoming "Roman Dead" exhibition. This will be our third collaboration with the Museum of London Docklands, and it promises to be an inspiring and exciting show. London’s complex Roman burial landscape is an important source of historical knowledge, providing insight into Romans’ religious beliefs and their treatment of the dead. This new exhibition will investigate the cemeteries of ancient London, examining the discoveries that were made there and their context within today’s modern cityscape. Another exciting collaboration for us is with another great London institution. For the first time we will be designing and building an exhibition for the Imperial War Museum in London. This inspiring exhibition will focus on regeneration and rebuilding in the aftermath of World War I. With 2018 being the anniversary of the end of the war, and being uncertain times for many around the world, we are very pleased to collaborate on an exhibition that celebrates the hope, resilience and ingenuity of people in the aftermath of great tragedy. Working with skilled craftsmen and display consultants to deliver a new office interior in Battersea, London. Oliver (pictured top left) has been working closely with Dave Young from Young & Norgate to design and deliver a new reception desk as part of an office wide refurbishment for our client Fields, Morris & Verdin. 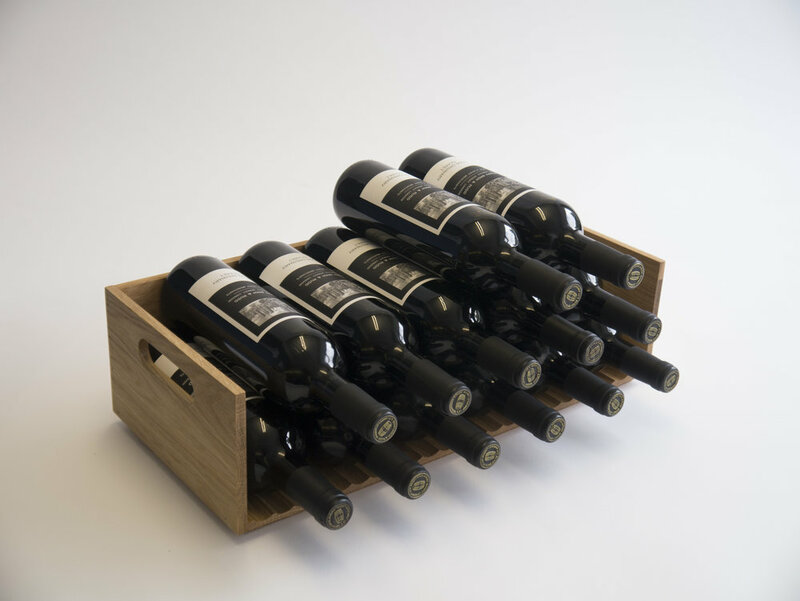 They are a specialist wine and spirits importer and distributor serving the UK's restaurant and retail trades with 50+ personnel in their Battersea, London office. We also collaborated with Display Ways to deliver the graphics and signage throughout the building, Twentytwentyone to purchase the furniture, lighting and accessories and Kappy Hawkes for the design of the interior planting. The reception area was completed on time to align with the start date of Kim the new receptionist. "We have Kim starting today and reception area looks great." said Zeljka Neumeyer at Fields, Morris & Verdin). We wish Kim, the new receptionist, well in the new job at the new desk. Working collaboratively with management consultants to help realise a new Wellbeing concept. We have had the pleasure of working with the team at the Foundation for the proposal of a new Wellbeing concept. Reena (pictured above) worked closely with both Charlie Dawson and Bianca Athanasiou (The Foundation) to deliver a concept proposal in two weeks from the initial brief. Reena produced the sketches, mood boards and visuals to assist the team. 63 Pall Mall Shop wins two more Awards at the Retail Week Interiors Awards 2017. On the evening of Retail Week Interiors Awards' 20th anniversary ceremony, Berry Bros. & Rudd's 63 Pall Mall project won two awards. Their new London retail store on Pall Mall, London was commended as the Best Destination Store in U.K. The contractors, Cumberland Group were also awarded The NAS Shopfitting Excellence Award on the night. The store has been designed to evolve the traditions and culture of the special relationship between Berry Bros. & Rudd and their customers. The space is open and welcoming so that everyone from novices to fully fledged wine connoisseurs can share the experience and expertise on offer. We would like to thank Jackson Coles for their cost consultancy and project management on the project. You can read more about the 63 Pall Mall project by clicking here. Mr Porter opens its first Kingsman store at Berry Bros. & Rudd, London. We successfully applied for listed building consent and advertisement for Mr Porter's first Kingsman shop at Berry Bros. & Rudd's No.4 St James's St. The building is Grade II Listed which meant it was important that all interior and exterior changes had to be sensitive to the existing character and heritage of the building. The new pop-up store plays an integral part in the launch of Kingsman x Mr Porter's "costume to collection line" and the upcoming release of the second Kingsman: The Golden Circle. Feel free to visit the new store, whether it is to buy some Kingsman accessories or to get your tailored suit and fittings as seen in the film. 63 Pall Mall Shop wins two Awards at the NAS Design Partnership Awards 2017. The National Association of Shopfitters gave both the 2017 NAS award for best retail project and the 2017 NAS design partnership award to Architects, Mowat & Company and Contractors Cumberland Group for Berry Bros. & Rudd's new store at 63 Pall Mall, London. The store gives a wider customer base access to London’s oldest wine merchant with a new design and new premises. The contemporary store takes its design language and craftsmanship from the traditional Berry Bros. & Rudd's interiors updating them to the needs of both customers and the retail brand for now and into the future. The success of the store and these awards is proof of our mantra that "life feels good when you find your place in the world”. We would like to say thank you NAS for recognising the work of a great collaborative team. 100% Design Talks: Building for everyone. Alex Mowat will be partaking as a speaker and member of the panel at 100% Design this Wednesday 20th September at 2.45pm. This year's talks covers the topic "From social housing to new buildings there is more scrutiny than ever on the role that architects play in creating spaces that respond to diverse needs and deliver quality and good design for all". Alex and the other panel members will be discussing how their practices respond to these issues. All talks are free for registered visitors and seats are on a first come first served basis. You can register for 100% Design here. Maggie's Oldham uses Holt handles and wins Building Project of the Year. We would like to congratulate Maggie's Oldham on winning an award for Building Project of the Year 2017 at the Constructing Excellence Awards North West. 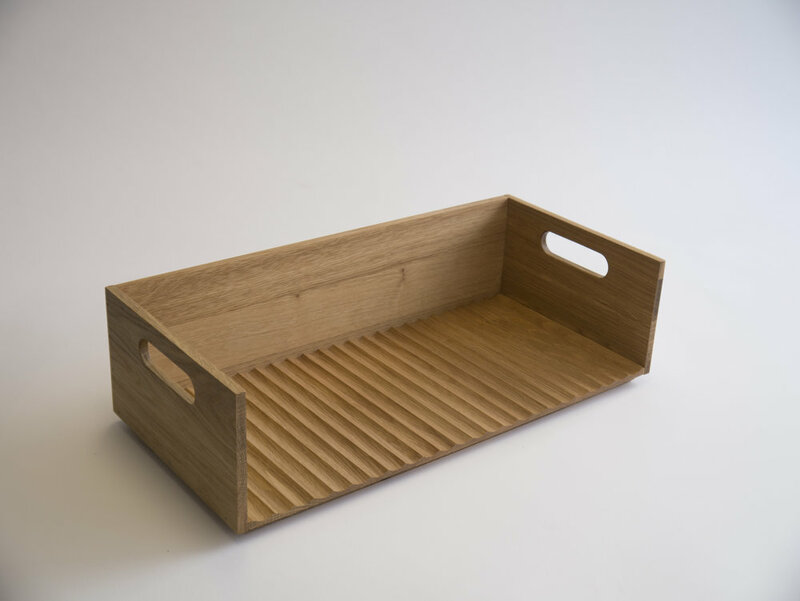 Mowat & Company's Holt wooden product range was specified as it is ideally suited for people after chemotherapy and those suffering from neutropenia. Alex Mowat has written an article for Architecture Today about his visit of Maggie's Oldham. Please click here to read it. Maggie's provides free practical, emotional and social support to people with cancer and their family and friends, following the ideas about cancer originally laid by Maggie Keswick Jencks. We are now on Instagram - Please Follow, Like and Comment. The focus of our Instagram is to show passion for places with character. Character of the location and character of the people who inhabit it as their place in the world. To view our page please click here. Alex Mowat at Talks with 100% Design on 20th September 2017. Alex Mowat will be partaking as a speaker and member of the panel at 100% Design this year. This years talks covers the topic "From social housing to new buildings there is more scrutiny than ever on the role that architects play in creating spaces that respond to diverse needs and deliver quality and good design for all". Restoration of Berry Bros. & Rudd's original consultation rooms at No.3 St James's St, London. Mowat & Company have restored No.3 St James's Street back to its former glory as consultation rooms in collaboration with Nicola Crawley of Sybil Colefax and John Fowler. Ever since 1698, No.3 St James's has been the home of Berry Bros. & Rudd serving both as a consultation room and store. The restored consultation spaces will now continue to focus on placing customers at the heart of Berry Bros. & Rudd's business, history and personal relationships between wine merchants and customers. Construction has begun on site for a new Wine Cellar. We are excited to announce construction has begun at a Grade II listed building for a private client. The image shows the first part of the dig for the cellar which we visited last week. Following on from our work at BRE’s main campus in the UK, we are delighted to have been able to work with them on their new venture PISAC. Located in Brasilia the facility is at the heart of BRE’s core strategy to build a better world together and for global partnerships to spread their expertise. Our work focused on ensuring that the brand and design language align across BRE’s buildings wherever they are. Visualisations in collaboration with Black Point Design. New wine and spirits shop for Berry Bros. & Rudd, 63 Pall Mall, London. Mowat & Company have designed a new space connecting Pall Mall and St James's street which will enable everyone to access 1,300 wines and spirits. Berry Bros. & Rudd have been trading in this area since 1698 and today marks a new page in their history book. The store has been designed to evolve the traditions and culture of the special relationship that the wine merchants have developed with their customers in this particularly unique place. The new store connects with the natural and rural environment of winemaking with a floating ceiling made from de-constructed 100-year-old wine barrels. The new store is directly above Berry Bros. & Rudd's existing historic cellars, state of the art wine school and their private wine events reception area. Also we’d like to send a thank-you to all members of the team who have made this project possible. We hope that you will be intrigued enough to visit the store at 63 Pall Mall, London, SW1Y 5HZ or visit our website for more information. To celebrate the opening, we are offering a Magnum of "Good Ordinary Claret". To win please email Alfred@mowatandco.com the best observation or description of the new store in no more than 20 words. We will announce the winner in our next newsletter. Good luck. Alex will be one of 10 designers to contribute to the next exhibition at Twentytwentyone's showroom between 21st - 24th June. Twentytwentyone, 1882 Ltd and the Robin and Lucienne Day Foundation are bringing the Lucienne Day Flower Brick back into production, with a celebratory limited edition of 100 in this centennial year. To mark the reissue of Day’s design ten creative individuals from the worlds of fashion, design, interiors, architecture and journalism have been invited to design a floral display using a Flower Brick. Flowers and plants were a key source of inspiration in Lucienne's life and work. In the same way trees and timber are key for Alex's life and work at Mowat & Company. Please come along and see how this will translate into our exhibit. To see more of our exhibitions click here. We are pleased to announce since the launch of our Holt range with Allgood we have exceeded our record sales in April. You can browse the full range by visiting Allgood and Twentytwentyone. We are pleased to share the news that we reached the final group of practices selected for the Kirkleatham Catering Academy and Walled Garden design competition. This project will be a place where people can learn to grow, cook and serve excellent food. Our entry was called the “Long View” and took inspiration from a long banqueting table at which people share a feast. The long building stretched the length of the old walled garden to give views out over the landscape. We would like to thank Ritchie + Daffin, Fluid Structures, Nigel Dunnett, Jonathan Foyle and Fraser Randall for being part of our bid team. Our first completed exhibition as Mowat & Company, 'The Empress and the Gardener' is coming to a close on 4th September 2016. This is your last chance to visit Hampton Court Palace to have a look at the exhibition about the famous gardener, Lancelot 'Capability' Brown. You can read more about the exhibition here and let us know your thoughts when you have visited the palace. You can book your tickets here. Will joins us as an Architectural Assistant from Amsterdam where he was working on residential projects and since joining has most recently helped with the design and print of our new books. Chloe joins us as an Architectural Assistant and has been assisting us across our various projects. We have compiled a few more books of case studies that celebrates some of the exciting projects we have worked on over the last 20 years. We have added an Exhibitions & Museums , New Projects in Historic Places and New Homes books. These books presents a variety of our key projects that we have designed with our clients, for their customers. This adds to the series of books which we would like to share with all of you this year. If you would like copies of any of our books, please contact Alfred Asare our Operations Manager. We are proud to support and to be featured in Pamela Buxton's new book which will be launched on 23rd June 2016. The book compiles Pamela Buxton interviews with 50 leading architects as they discussed their most inspirational buildings. The book features photographs and an interview from when Alex Mowat revisited EMBT's Santa Caterina Market building, Barcelona which he finds "flamboyant yet thoughtful, useful, logical and local". Our first completed exhibition as Mowat & Company, 'The Empress and the Gardener' is open now until 4th September 2016. The exhibition celebrates the 300th anniversary of the famous landscape gardener, Lancelot 'Capability' Brown. The exhibition displays a rare collection of drawings that are seen for the first time in newly restored spaces at the palace where Capability Brown worked and lived. We would like to thank all the team at Historical Royal Palaces, The State Hermitage Museum and our team of specialist consultants for their contribution and effort on putting together a great exhibition. To read more click here and let us know your thoughts when you have visited the palace. You can book your tickets here. We are happy to announce Cycle Revolution at the Design Museum won the award for Best Cycling Event 2016 at the London Cycling Awards. This is the last chance to visit the last exhibition at the Design Museum before it closes at Shad Thames 30th June. As we continue to commemorate our 20th anniversary, we have compiled our first book that celebrates some of the exciting projects we have worked on over the years.This book presents a variety of our key Architecture and Interior Design projects that we have designed with our clients, for their customers. This is the first of a series of books which we would like to share with all of you this year. If you would like a copy, please contact Alfred Asare our Operations Manager. We are pleased to announce that our Holt range has been named as the winner of the wood product category at the Architizer A+Awards 2016. We have designed the Empress and the Gardener Exhibition which is open to the public between 28th April - 4th September 2016. The new exhibition commemorates the 300th anniversary of Lancelot Capability Brown's birth and his role as head gardener at Hampton Court Palace. This is our first exhibition with Historical Royal Palaces. Capability Brown is Britain's most famous gardener, the man who transformed this country's landscape and made English gardens an international fashion sensation for the first time. Click here if you would like buy tickets to the exhibition, and let us know about your experience. We are delighted to announce the refurbishment at the Grade II* listed building on No.1 Fleet Street, London is complete. The branch is open for business. It has been nice to hear great feedback from the team at the Child & Co branch and their clients who are using it. It was a pleasure working with team at RBS, ISG, Purcell, Twentytwentyone and GVA. Feel free to visit the branch if you are in the area. We are working with Youth Fed on the design of a new standalone building for the youth of Macclesfield in East Cheshire. The proposal for a new building includes art, sport, music and social facilities for kids after school and during the holidays. Youth Fed are now raising support and we look forward to developing the design with them. Following the launch of the Holt range with Allgood we are now receiving some great images of the products installed on real projects. The Winton Chapel in Winchester has opened with some pull handles on the glass entrance. Textile designer Eleanor Pritchard has bought some handles for use in her house which she describes as "one of the fittings we were most pleased with.....everyone who comes round comments on it". Both Holt handles and Eleanor's textiles are sold through Twentytwentyone (Click here). Our senior designer, Ray Cheung, is mid way through his London lecture tour about our experience and methods of designing exhibitions. His talk explains the process of designing exhibitions that communicate to visitors. He explains how it works behind the scenes and some of the strange requirements that Mowat & Company have dealt with. He has delivered the first talk at KLC, next will be to students at UAL Chelsea and finally to the students on the The Design Museum's Curating Contemporary Design MA with Kingston University (see some of the case studies here). We are delighted to say Hackney Council's planning committee awarded a unanimous approval to our application for planning permission for 12 houses on Morpeth Road. The Architects Journal have published a short article on the houses. It was the most popular article on the AJ! Click here to read the article. We look forward to working with Peabody and the consultant team on the next stages and getting the new residents into their new homes.